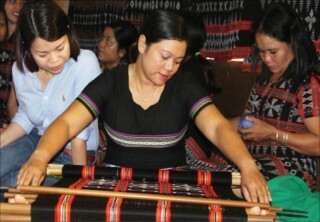 Based on the direction of the chairman of the Provincial People's Committee Phan Ngoc Tho for organizing clubs' art performances on a number of locations in Hue city, the provincial Department of Culture and Sports developed a privatization scheme for community art performance activities. According to the scheme, more entertainment and public art performance venues will be developed to create performing venues for clubs. Selected locations include Pham Ngu Lao - Chu Van An - Vo Thi Sau walking streets, Ken (wind band) house in February 3 park, Hue Cultural Museum, the square opposite Quoc Hoc high school... As for the walking street on the Southern bank of the Huong river, there will be performing venues for various art performances. At night, the walking streets and the cultural and art space axis (from Phu Xuan bridge to Truong Tien bridge) will be animated with sounds of guitar, singing of many art forms, ranging from contemporary music to traditional arts. Contemporary music involves orchestras, clubs of guitar, hip-hop, rock, dance sport... Traditional art introduces values of Hue's heritages such as Hue singing, court music, royal dances, Hue drama. In addition, other art forms are also involved such as unicorn dance, calligraphy, puppet show, human statue... The spaces are for artists to make their creations but also become entertainment sites for local citizens and tourists. 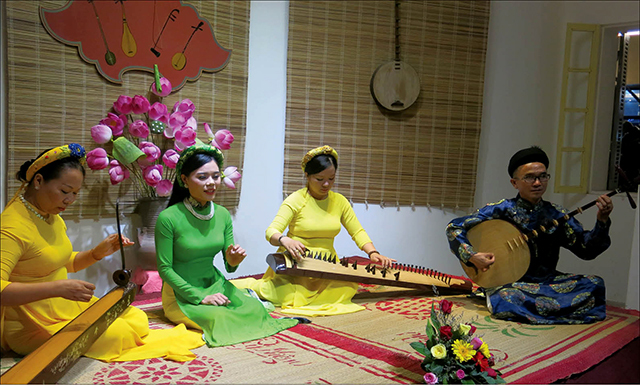 Mr. Cao Chi Hai, Deputy Director of the Department of Culture and Sports said that Hue chamber music space at the Hue Cultural Museum may also host performances of such other art forms as court music, royal dances and Hue drama. Ken house continues to be the performance space for Hue Academy of Music, consisting of choirs, young bands, guitar band, integrated traditional music orchestras. Every week, many diversified and abundant types of art will be performed on a regular basis to meet the needs of local community and visitors at different times. Among which, clubs and groups will focus their performances mostly on weekends. On weekdays, art performances will be alternately held at several tourist attraction sites. 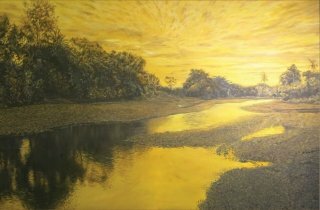 Hue city has over 30 art clubs, associations, groups and a number of art businesses performing for community. 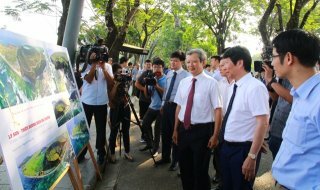 These include 13 clubs affiliated to the Provincial Culture and Information Center, 11 clubs, associations and groups performing for community at walking streets, 4 orchestras of Hue Academy of Music performing at Ken house, Chamber Hue Singing club performing every week at Hue Cultural Museum... This is an abundant resource to organize art performance activities serving local community. 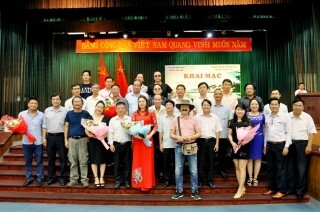 In 2018, 4 orchestras of Hue Academy of Music performing at Ken house received a financial support of VND 245 million from the provincial People's Committee. Other clubs are operating mainly on their member's contribution. However, their operations still encounter many difficulties due to a lack of funds to maintain the performances on a regular basis. Since performing venues and schedules are not spread out for weekdays, but mainly focus on weekends, thus, there is a big gap that leads to a lack of community tourism products to attract tourists. According to the proposal of the Department of Culture and Sports, if the scheme is implemented, contemporary music types will be operated on a privatization principle, calling on the support from businesses and local community. Relevant authorities will arrange appropriate performing venues, and facilitate any operation procedure and mechanism for clubs. As for Hue royal court music, Hue singing and Hue drama, the government will consider a financial support. Mr. Nguyen Van Thanh, Chairman of the Provincial Theatre Artists Association excitedly said: “Every week, the association can perform street comedy, Hue drama with excerpts of drama, music, dance, masks... Artists are very happy with this policy as they will have space to perform for local community and promote traditional arts. The government just needs to ignite an initial flame, then artists are willing to participate”. 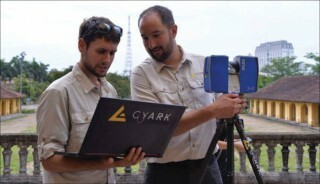 In the context of Hue tourism lacking night activities, organizing venues of entertainment and public art performances at the cultural and art space axis on Le Loi street, connecting with Pham Ngu Lao - Chu Van An - Vo Thi Sau walking streets will create a night vivid atmosphere and attract visitors. Mr. Nguyen Que, Head of the Culture Management section (Department of Culture and Sports) said: “The privatization of clubs' art performing activities aims at creating more performing points to serve local community and visitors. These are not only cultural and spiritual products of Hue people, but also street arts and interesting highlights to attract domestic and international tourists”.